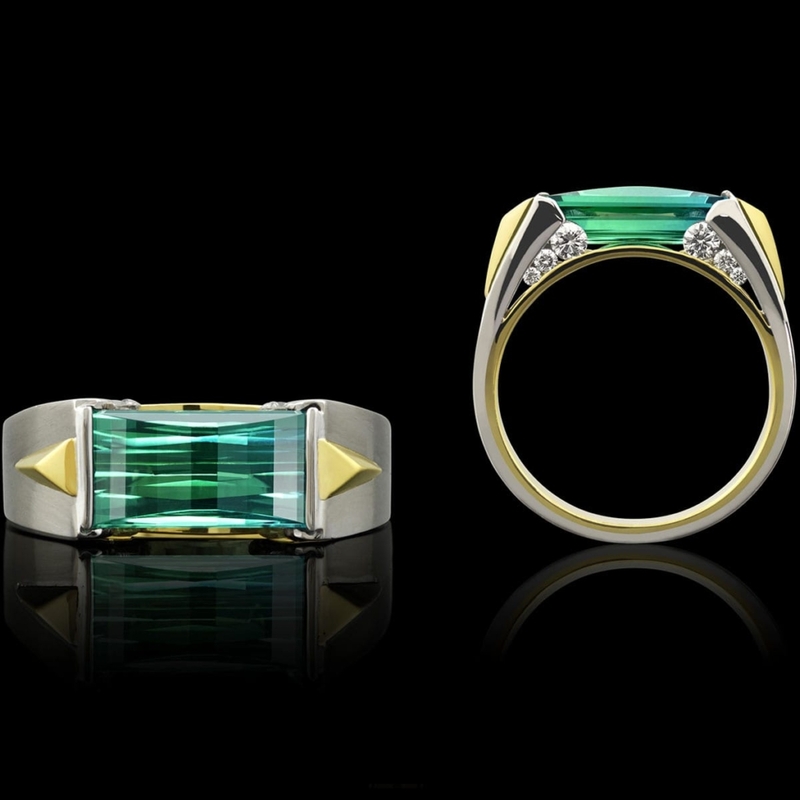 Balance Tourmaline Ring is striking and strong. This distinctive men’s ring features a 10.03 carat green tourmaline set in 14 karat white and yellow gold with .45 carats total weight of diamonds. To purchase or ask a question, call (949) 715-0953 or use the form below.